This program was developed to help new young Peruvians girls advance in their Higher education, help them get involved in community service and be proud of her Heritage. 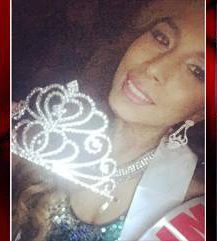 At the Pageant contests can show their talents, community service platform, and abilities. The winner will receive a scholarship that will help her to advance in her higher education. Open to any girl from Peruvian descent by both or one parent from 18 to 26 years old.